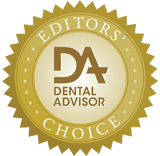 The opaque shades match/adapt well with porcelain repairs and endodontic access opening restorations. For shade matching, extrude a little bit on the tooth and light cure it to check. 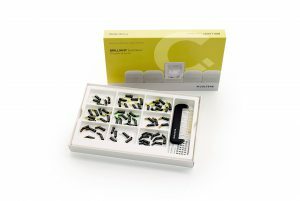 Great for teeth with minimum remaining coronal structure. 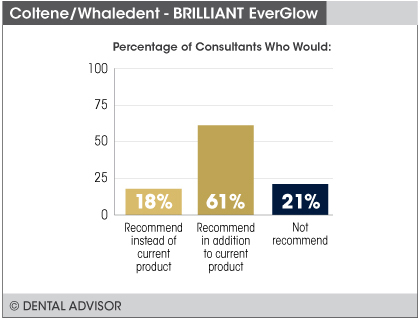 BRILLIANT EverGlow was evaluated by 33 consultants, and used 771 times. 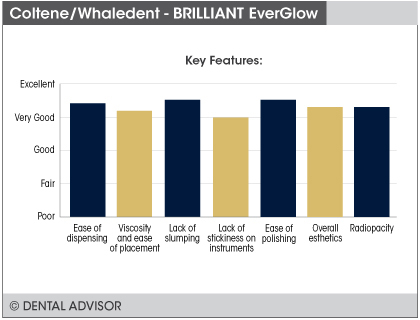 BRILLIANT EverGlow is a highly esthetic and user-friendly universal submicron hybrid composite. Its filler technology is designed for gloss properties such as a high polishability and long-lasting high luster. It also has convenient sculptability without slumping and good wettability for easy handling. 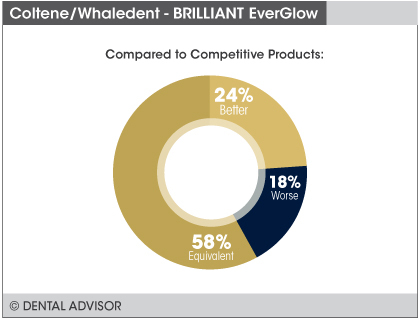 The BRILLIANT EverGlow shade system has three translucency levels and exceptional blending properties allowing for highly esthetic and flexible single-shade and multi-shade restorations. The medium-translucent Universal shades provide an exceptional blending effect, making them ideal for seamless, single-shade restorations. Duo Shades, which match two VITA shades in one (e.g. 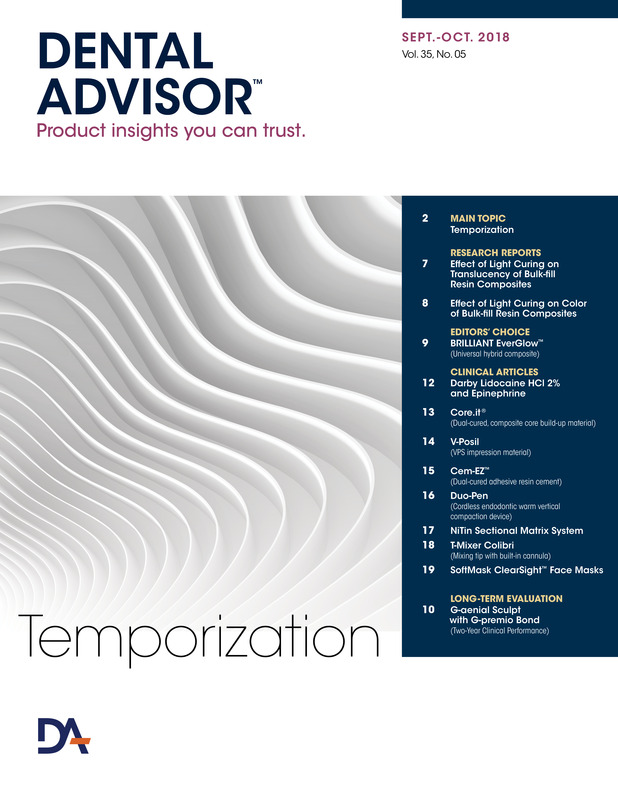 A2/B2), help reduce decision time and the amount of material in storage. For use in multi-shade restorations, the Universal shades can be combined with opaque masses and translucent enamel masses. Each BRILLIANT EverGlow shade is available separately as a syringe (3 g) or in boxes with 20 uni-dose tips (0.2 g each). Kits containing 4 or 9 shades are also provided and include a Shade Guide with original material for free.